Pandemonium! Events! · Exploring Microservices — Game On! There are some things in the game that really aren’t good to handle with REST APIs. Reacting to events is a much more efficient way of propagating changes through the system. For example, when a player changes their name via the Player service, that change should ripple out to all interested parties so that interactions across devices can be updated with the new username. We wrapped our handling of receieved events into an RxJava based API, just by the way. That’s worth a look or three. 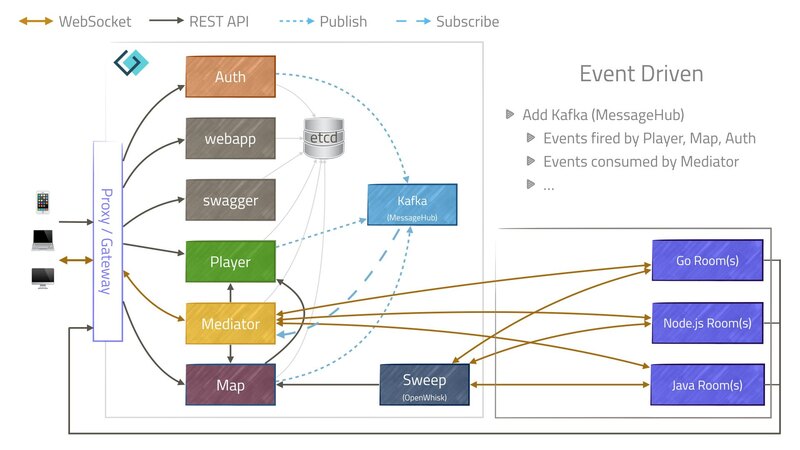 We’re still in early days with our integration of Events, but the infrastructure is all there waiting for us to use it.